In 1977, we were founded on a simple idea: Just do what’s right. That concept remains at the heart of everything we do for Main Street families every day. We teach people how money works, because we believe a solid financial knowledge foundation is the key to making healthy money choices. We pioneered the “Buy Term and Invest the Difference” philosophy – a crusade which revolutionized the life insurance industry and the investment business. And from the beginning, we have only offered term life insurance as part of our commitment to only market products that are right for the consumer, a philosophy we still apply to our solutions today. 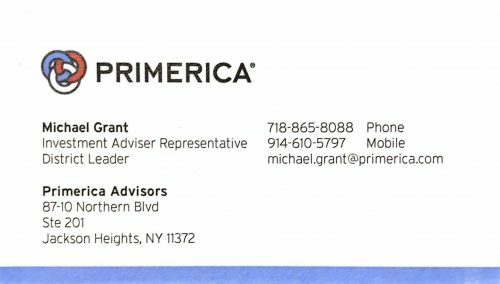 I am looking to make a difference in the community by providing a resource to families to assist them on getting on the path to financial freedom. Ossining Wine & Liquor Inc.